The GoM will also look at the broader picture. The RCEP summit is in November, by which time we have to tell other countries whether we want to be in or out. 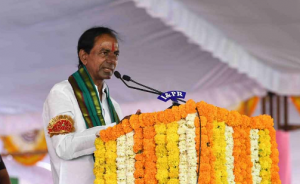 The Telangana government has launched a Rs.5 lakh insurance programme for farmers in the state, touted to be the first of its kind, under which their families will get the amount irrespective of whether the death is natural or accidental. 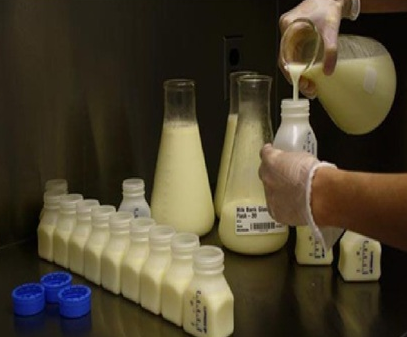 However, the scheme is limited to farmers aged between 18 and 60 years. The Rythu Bandhu Life Insurance Bonds (as the scheme is called), which is expected to benefit 2.8 million farmers (out of 5.8 million), will cover only land owners who received monetary assistance of Rs.4,000 from the state government to bear farming costs under the “Rythu Bandhu” programme earlier this year. 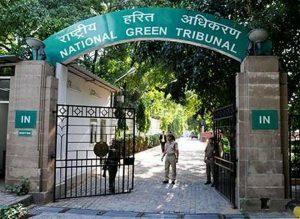 The National Green Tribunal has constituted a committee, to be headed by a former Allahabad High Court judge, for monitoring the rejuvenation project of Ganga from Haridwar to Unnao in Uttar Pradesh. The cleaning work of river Ganga has been divided into different segments by the NGT, which include Gomukh to Haridwar (Phase-I), Haridwar to Unnao (segment B of Phase-I), Unnao to border of Uttar Pradesh, border of Uttar Pradesh to border of Jharkhand and border of Jharkhand to Bay of Bengal. 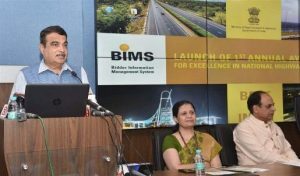 The Minister for Road Transport & Highways, Shipping, Water Resources, River Development and Ganga Rejuvenation Shri Nitin Gadkari launched Bidder Information Management System (BIMS). BIMS is aimed at streamlining the process of pre-qualification of bidders for EPC Mode of contracts for National Highway works with enhanced transparency and objectivity. 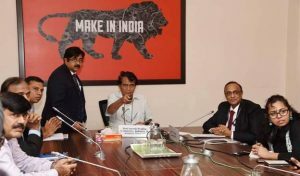 And Bhoomi Rashi and PFMS linkage – two IT initiatives of the Road Transport & Highways Ministry that are aimed at expediting pre-construction processes relating to bidding and land acquisition respectively. Bhoomi Rashi, the portal developed by MoRTH and NIC, comprises the entire revenue data of the country, right down to 6.4 lakh villages. Integration of Public Financial Management System (PFMS) with Bhoomi Rashi is one of the key functionalities to facilitate payment related to compensation for land acquisition to all the beneficiaries directly through the Bhoomi Rashi system. The Minister also announced institution of Annual Awards for Excellence in National Highways Projects from this year onwards. 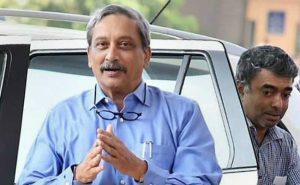 Goa Chief Minister Manohar Parrikar and Tourism Minister Manohar Ajgaonkar has flagged off the Goa Tourism Development Corporation’s app-based taxi service “GoaMiles” in Panaji. It would ensure that commuters are not cheated and at the same time would increase the earnings of taxi drivers by “two to three” times. Telecom Regulatory Authority of India (TRAI) has integrated its MyCall and DND 2.0 apps on the Umang (Unified mobile application for new-age governance) platform for Android users. It will be available for iPhone users in future, but no timeframe has been given by the regulator for that. Umang is a single platform for all citizens to access pan India e-governance services. 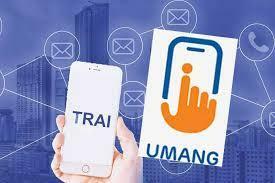 TRAI has integrated the apps on Umang platform in order to increase the reachability. 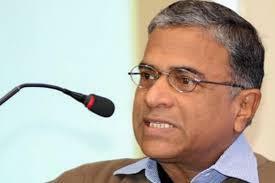 The app was launched by TRAI Chairman RS Sharma, who is set to retire on August 9. A revised Memorandum of Agreement (MoA) has been signed amongst Govt. 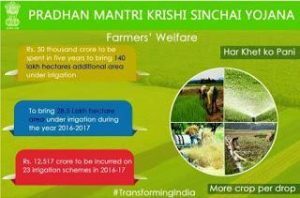 of India (through MoWR, RD & GR), NABARD and National Water Development Agency (NWDA) for funding of central share of 99 prioritized irrigation projects under Pradhan Mantri Krishi Sinchayee Yojana (PMKSY) through Long Term Irrigation Fund (LTIF). It will enable this Ministry to release Central Assistance to prioritized projects under PMKSY as per the requirements from time to time. Under PMKSY, 99 ongoing irrigation projects were identified for completion in mission mode by December, 2019. Total requirement of funds for completion of these projects was estimated at Rs. 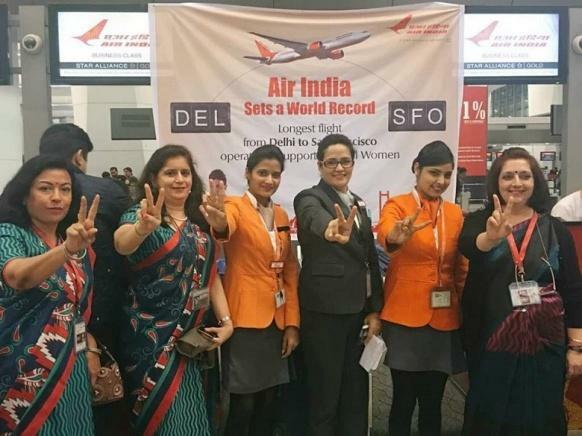 77,595 crore (Rs. 48,546 crore for project works and Rs. 29,049 crore for Command Area Development works) with Central Assistance of Rs. 31,342 crore. During 2016-17 and 2017-18, cumulative loan amount of Rs. 7863.60 crore has been availed from LTIF for funding these projects. The 3rd India-Nepal Coordination meeting will be held in New Delhi. 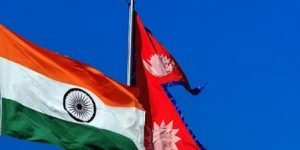 Our correspondent reports that a seven-member delegation from Nepal, headed by Inspector General of Nepal Armed Police Force Shailendra Khanal will take part in the three-day meeting. 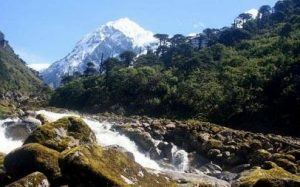 The Khangchendzonga Biosphere Reserve, Sikkim, one of the highest ecosystems in the world, has been added to UNESCO’s list of World Network of Biosphere Reserve (WNBR). The Khangchendzonga reserve will be India’s 11th internationally designated WNBR. International coordinating Council (ICC) of Man and Biosphere (MAB) Programme, UNESCO, in its 30th session (23-27 July, 2018) at Palembang, Indonesia, designated Khangchendzonga Biosphere Reserve for inclusion in the World Network of Biosphere Reserve. Khangchendzonga joins the list of other biospheres such as Nandadevi, Simlipal, Sunderbans, and Nilgiri. 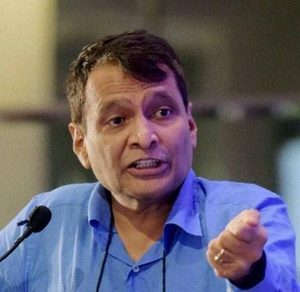 Union Minister of Commerce & Industry and Aviation Suresh Prabhu launched Niryat Mitra – mobile App in New Delhi. The app developed by the Federation of Indian Export Organisations (FIEO) is available both on Android and on IOS platforms. 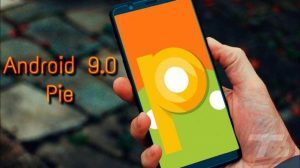 Google has officially released Android 9 Pie on the Google Pixel and will roll out the update to other phones throughout the year. Adaptive Battery – Android analyses the usage pattern and prioritises power to the apps that are used frequently. Adaptive brightness – User’s brightness settings in different surroundings is analysed and the phone automatically sets the brightness. App actions – The OS will predict the user’s actions and suggest something accordingly. If a user plugs in earphones the system will show a pop-up of playlist frequently heard by the user. Pacific Endeavor-2018, a communication exercise under the Multinational Communications Interoperability Program (MCIP) started in Kathmandu, Nepal. The basic objective of 12-day exercise is to develop common communications operating procedures to enable military forces in the Asia Pacific region to collectively work in the wake of disaster. It is jointly organised by the Nepali Army and United States Pacific Command. 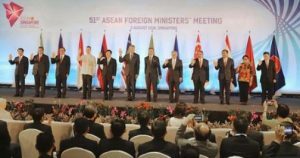 Prime Minister Lee Hsien Loong called on the member states of the Association of Southeast Asian Nations (ASEAN) to stay united against protectionism and brace multilateralism at the opening ceremony of the 51st ASEAN Foreign Ministers’ Meeting in Singapore. It focused on our continued efforts to build a resilient and innovative ASEAN, ASEAN’s relations with external partners, including through ASEAN-led platforms, and the importance of ASEAN Centrality and unity amidst rapid changes in Southeast Asia and beyond. 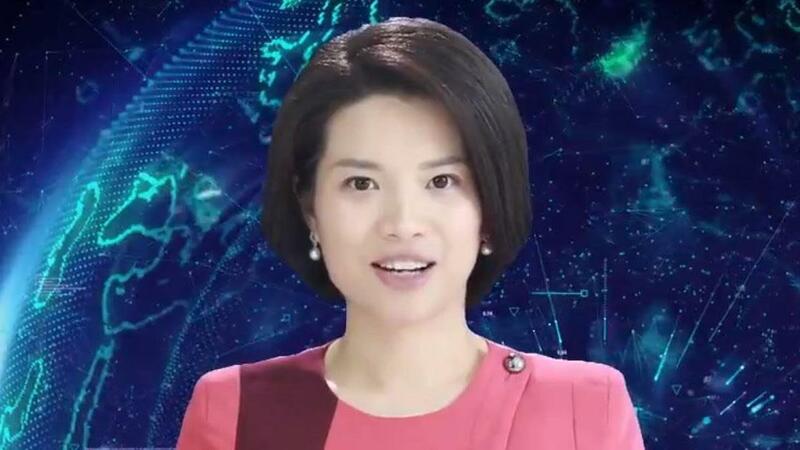 The main aim of the meeting is to trade union setup between United States and its long-time trading partners, including China, the EU and Canada. PayU India has announced entering into a strategic partnership with Reliance Money, leading NBFC brands in India, to offer instant app based personal loans, via LazyPay. Both PayU India and Reliance Money will make sure that the entire process is completely digital, saving customers the hassle and the delays usually associated with a loan approval process. 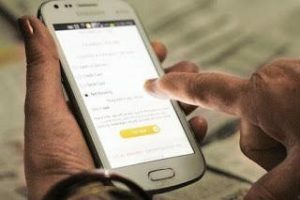 The value of transactions made through mobile wallets touched a record Rs.14,632 crore in June, Reserve Bank of India (RBI) data released showed, rising 4.2% from Rs.14,047 crore in May. However, the number of transactions fell around 5% to 309.62 million in June after reaching an all-time high of 325.41 million in May. Transactions went up by around 14% to 306.42 million in June from 267.78 million in the previous month. 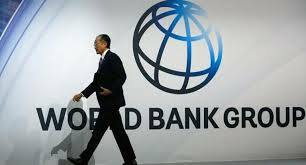 The value of transactions increased to Rs.1.9 trillion in June from Rs.1.7 trillion in May. 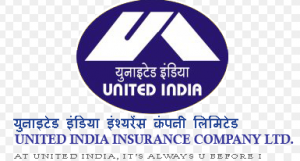 Public sector non-life insurance firm United India Insurance Company has announced the appointment of S Gopakumar as its Director and General Manager with immediate effect. 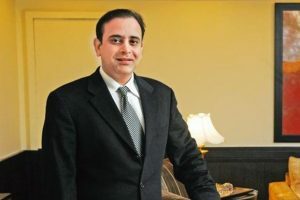 The Escorts board has unanimously appointed Nikhil Nanda as the chairman and MD to succeed his late father Rajan Nanda who passed away earlier this week after a brief illness. Nikhil, who is an alumnus of Wharton Business School, Philadelphia, has been a key member of the company’s board since 1997. Ruling NDA candidate and JD(U) member Harivansh Narayan Singh was elected as the Deputy Chairman of the Rajya Sabha, securing 125 votes as against 105 polled by opposition candidate BK Hariprasad. 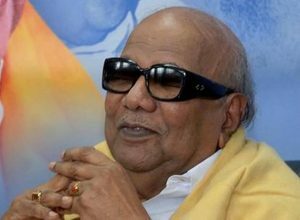 The post of the deputy chairman was lying vacant since the retirement of PJ Kurien on 1 July. 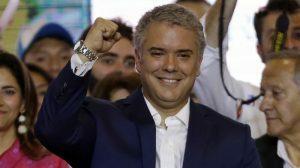 Colombia’s President-elect Ivan Duque has been sworn in as the country’s 60th president, amid concern over the influence he will have on the country’s peace process. He succeeds the Juan Manuel Santos Calderón. Indian-American high school student Avi Goel has won the world championship at the International Geography Bee’s junior varsity division held in Berlin, Germany. 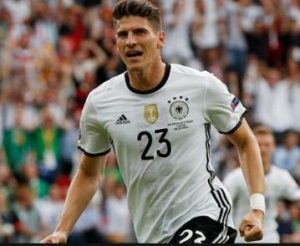 German professional footballer Mario Gomez has announced his retirement from the national team, saying that it is now time for the youngsters to step up in his shoes. Announcing the news, the 33-year-old striker said that he has fulfilled his childhood dream of gracing the 2018 World Cup. 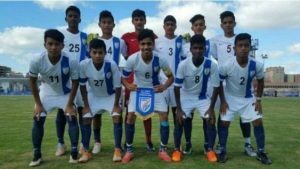 The Indian Under-16 team stunned reigning Asian champions Iraq for the first time, courtesy a last-gasp goal by Bhuvenesh, to bring its campaign back on track at the West Asian Football Federation (WAFF) Tournament in Amman, Jordon. 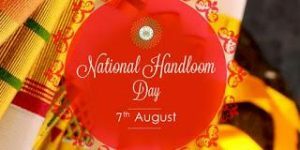 Launched in 2015, August 7 was chosen as National Handloom Day as it was the day that the Swadeshi Movement was started in 1905. To honour the handloom weavers in the country and also carter an impetus to India’s handloom industry. This year it was third edition of the National Handloom Day after it was instituted in 2015. August 9th, 2018 is the 76th anniversary of Quit India movement. On this day in 1942, father of the nation Mahatma Gandhi gave the clarion call of Do or Die to all Indians to drive away Britishers from the country. The movement had begun from Gawalia Tank in Mumbai. The day is observed as August Kranti Day every year. 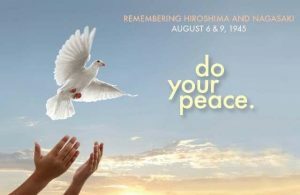 People in Japan are observing 73 years since American forces carried out their second atomic bomb attack on the country during World War Two. A memorial service was held in the city of Nagasaki where the bomb was dropped, just 3 days after the first one leveled Hiroshima. For the first time a United Nations Secretary-General took part in the Nagasaki ceremony. Nagasaki Day is observed as August 9th every year.